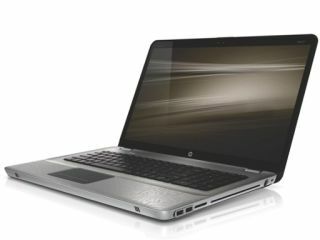 Hewlett Packard has announced major updates to its consumer laptops and netbook ranges, with changes to the Envy, Pavilion, G and Mini lines. HP says that the new updates deliver "distinctive design elements, new materials, enhanced performance and better experiences to consumers." The Envy line is the 'premium' option aimed at the higher cost end of the market, and the HP Envy14 and Envy17 offer ATI Mobility Radeon discrete graphics cards, slot-loading optical drive and Intel processors. The notebooks also boast Beats Audio, developed in conjunction with Dr Dre (who, as we all know, got his doctorate in the University of Phat Beats), and up to 2TB of storage. Design-wise the Envy range has a "magnesium-alloy bottom layer for reduced weight and thickness, a pure-grade laser-etched aluminum chassis for improved strength and durability." The HP Envy4 has a UK release date of July with a starting price of £999 and the HP Envy17 is expected to be available in July with a price of £1299 and upwards. The thin-and-light HP Pavilion range has been given a major update with the dm1, dm3, and dm4 all offering a "full PC experience" in a featherweight form factor. The range-topping dm4 weighs in at less than 2kg and boasts an Intel Core processor, an optional ATI Radeon HD5450 GPU with a 14 inch screen and "up to" 6.5 hours of battery life. The dm3 is now offered with either an AMD Athlon II Neo or Turion II Neo with an optional ATI Radeon HD5430 GPU, while the HP Pavilion dm1 brings AMD Neo processor, an ATI Radeon HD 4225 graphics and up to 5GB DDR3 memory support. The higher-performance HP Pavilion Performance/Entertainment notebooks haven't been left out either with the dv3, dv6 and dv7 all being billed as "ideal for any type of media-rich experience, offering the latest in graphics, audio and video." The dv6 is the first HP Pavilion notebook PC available with an optional touch screen, plus a new 16.6 inch HD display, and the dv3, dv6 and dv7 all come with finger print reader, and can also have Dolby Advanced Audio and Altec Lansing speakers with the dv7 potentially bringing metal finish HP triple bass subwoofer and HP Beats Audio. The HP Pavilion dm1, dm3, dm4, dv3, dv6 and dv7 have a UK release date of July, with UK starting prices of £399, £499, £699, £799, £549 and £649, respectively. HP's Mini range has been boosted by new designs for the HP Mini 210 line and an updated HP Mini 110 which is now available in 2 colours and offers an optional six-cell battery providing up to 8 hours of battery life. The HP Mini 210 and Mini 110 are expected to be available mid July with a starting price of £299 and £249 respectively. To finish up HP has also introduced additional colours to its entry-level notebooks HP G62 and G72. "The HP G72 will be available in black and biscotti, the HP G62 in black, white, silver and biscotti," adds HP. "The HP G62 will also be available with the latest AMD Phenom II, Turion II and Athlon II series processors."